The UAE has emerged as a world leader in the undertaking of ambitious projects. It has transformed the nation into the region’s most advanced economy through the adoption of the latest technological innovations, routinely boasting many of the ‘world’s firsts’, including the world’s tallest building. The peak of these ambitions will be realised in 2021, when the UAE plans to land a space probe on Mars to coincide with the 50th anniversary of formation of the country. A project management foundation that is strong, along with formal knowledge transfer programmes and processes, is vital to the realisation of these plans. Adopting international good standards from major projects and successfully using knowledge transfer to apply these regionally across fast-growing sectors such as health care, aerospace, construction, hospitality, retail and government, will help to ensure successful outcomes, drive innovation and ultimately support the evolution towards becoming a knowledge-based economy, led by qualified UAE nationals. The country has already made significant strides, but there remains a major opportunity to advance further. And complacency comes at a high cost, with organisations in the Middle East wasting on average $100 million (Dh367 million) for every $1 billion invested in projects, due to poor project performance, fairing slightly better than the global average of $109 million. High performing organisations on the other hand waste much less; approximately $20 million for every $1 billion spent. 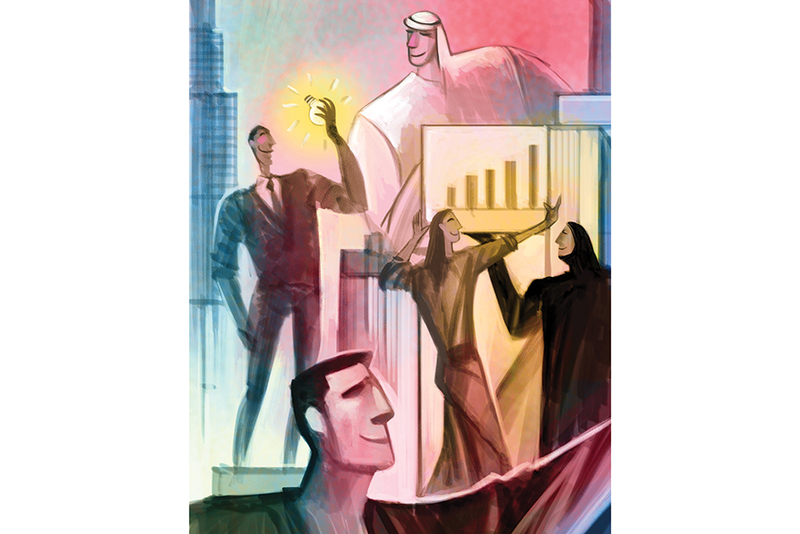 Despite indications of a global economic slowdown, the UAE continues to make strategic investments in major projects and innovations, relying on project management to implement strategic initiatives in both government and the private sector. With the UAE often voted as number one in terms of being a viable location for multinationals to invest in the Middle East, the UAE enjoys a significant opportunity to tap into the knowledge and expertise of these organisations with the aim of transferring knowledge. The importance of knowledge — how it is acquired, used and shared — is key to project and programme success. PMI (Project Management Institute) research reveals that when organisations value knowledge transfer and implement good practices to support it, they improve project outcomes substantially — by nearly 35 per cent. These organisations are also nearly three times as likely to have a formal knowledge transfer programme: 92 per cent compared to 33 per cent among least-effective organisations. Although specific practices vary, the most effective organizations report adhering to a five-step method for identifying, accumulating, sharing, applying and assessing knowledge. Some strategies work better in one organisation than another. And some may not be appropriate for specific types of content. The challenge is uniting the right steps, tools and activities to transfer knowledge so that it can be used by others to elevate skill-sets, identify better approaches to their work, and, ultimately, to improve project outcomes. Knowledge transfer as a theory has meaning, value and relevance for organisations, but its actual implementation and uptake can pose challenges, especially if no true results-oriented process is in place. When organisations fall short of this more comprehensive knowledge transfer effort, the reasons are many but often relate to cultural issues. Many organisations point to the fact they have higher priorities (52 per cent) and also believe there is insufficient recognition of the value (42 per cent). So, how do organisations overcome these and embrace knowledge transfer as an important business capability? PMI research shows that the most effective organisations focus on culture, leadership and people. Culture encourages buy-in: When organisations have a culture that values knowledge transfer, they are far more successful at it. A full 96 per cent of respondents agree that a supportive organisational culture — alone or coupled with state-of-the-art knowledge storage and retrieval policies and technology — contributes to effective knowledge transfer. Leadership sets the tone: More than half of organisations name managers and directors as ultimately responsible for knowledge transfer. Regardless of the specific title, 95 per cent of those that are most effective at knowledge transfer have identified someone in the organisation who is ultimately responsible for it, compared to only 54 per cent that don’t do knowledge transfer well. People make the difference: Equally, if perhaps not more important to having a culture that supports knowledge transfer, is the buy-in and commitment of an organisation’s people. They are the vital link. The majority of organisations in our research said that project managers specify the critical knowledge that should be captured as part of knowledge transfer. This gives project managers an opportunity to promote, and even demonstrate, the value of transferring knowledge and how it contributes to an improved project delivery process. The writer is President and CEO of The Project Management Institute. He presented the keynote on ‘Knowledge Transfer’ at The Dubai International Project Management Forum.